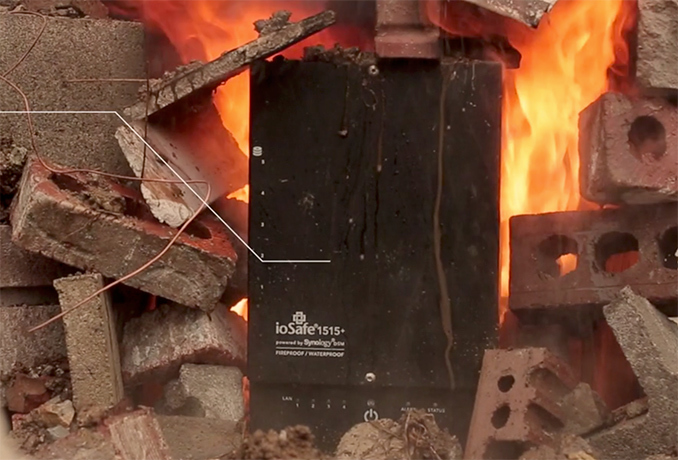 ioSafe sells fireproof and waterproof NAS and storage servers. This somtimes includes servers designed by other companies, such as Synology. ioSafe’s products are aimed at clients from military or manufacturing industries who need disaster-resistant storage solutions and in some cases are tailor-made. By contrast, CRU develops and builds its products in house and specializes on rugged storage solutions for audio/video production, business markets, digital forensics investigators and so on. While products from ioSafe and CRU serve the same purpose of protecting data, they are aimed at different customers and sometimes even industries. Which means that while there's overlap in terms of technology, there's very little overlap in terms of customers. After the acquisition ioSafe will retain its team and product families. Meanwhile, what remains to be seen is how ioSafe will continue to work with its external partners. By taking over ioSafe, CRU gains experience in creating storage devices with superior protection against fire, water, chemical, altitude and other kinds of disasters and environments. It all comes at the whether the user would pay that much to get an ioSafe drive or just a regular 2TB USB 3.0 external drive. The important factor would be how important your work data is and you're putting too much money. Superior protection against fire, water, chemical, altitude.